I was there 2 weeks and wish I was still there . I find boat house to be great thats funny to hear they gave you bad service . 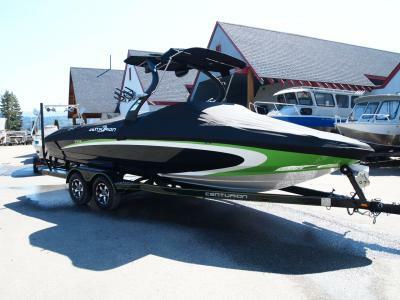 I just bought my 233 from them because what they did for me when I had a tige storage winterizing . I finally have pics of my new 233 but can't upload ! please help I have a mac book air the pics are 3mb I try and crop but they don't crop small enough . I don't know for sure but I think the storage in the back corner is closed off. I have a Enzo sack from my last boat but it won't work in my new 233. How much should I sell it for ? Yes forecast doesn't look so hot , don't think it's going to stop me. I live 4.5 hrs away. Waiting for spring to come and this is my first weekend I can get there . Two more sleeps. Yes it is a 233. I havent seen it unwrapped next week cant come fast enough . Unwrapped and ready for pick up 7 days !!!!!! Pull the pin I forgot mine one time and I own the boat and could not get it in the water . Just dont forget the pin its harder than you think to replace it . Good to have that sick feeling to go away I bet , nice to hear the dealer and centurion stepped up. No it was a girl and she was solo and wireless. My dealer emailed me the spec sheet before I ordered and I read it 100 times . I also asked him to send me the color scheme 2 times to be sure it was right I feel for you right now . I ordered a truck and when I went to pick it up the rims and tires were brutal so I told them I didn't want it . The dealer ship was three hrs from where I lived they called me two days later and had put new rims and tires free of charge and the truck was 1/2 the price of what your boat is . They should have sold you the surf package it works out to be the same price as getting all ballast options individually and you get those extra options.